The West Virginia Nonprofit Association has exciting news: Beth Kanter, speaker, author, and master trainer, will be the Keynote Speaker for our 2018 West Virginia Nonprofit Leadership Summit! Beth is a well-established international nonprofit thought leader. Her first book “The Networked Nonprofit,” introduced the sector to a new way of thinking and operating in a connected world while her second book, “Measuring the Networked Nonprofit,” is a practical guide for using measurement and learning to achieve social impact. 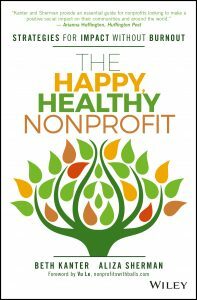 She published her third book “The Happy, Healthy Nonprofit: Strategies for Impact without Burnout” in 2016 and is also the author of Beth’s Blog, one of the longest running and most popular nonprofit blogs out there, where she writes about networks, data, learning, training, facilitation techniques, nonprofit organizational culture and self-care for nonprofit professionals. Beth has over 35 years of experience working in the nonprofit sector in technology, training, and capacity building and has facilitated trainings for nonprofits on every continent (except Antarctica)! 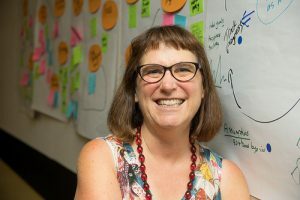 She is experienced in participatory facilitation techniques such as design thinking, open space, peer learning, and more, and she is an in-demand keynote speaker and workshop leader. Named one of the most influential women in technology by Fast Company and one of the BusinessWeek’s “Voices of Innovation for Social Media,” Beth was Visiting Scholar at the David and Lucile Packard Foundation 2009-2013. Her past and current clients include Robert Wood Johnson Foundation, Kauffman Foundation, Gates Foundation, Brainerd Foundation, Knight Foundation, Knight Digital Media Center, Edutopia, and HHS, among others. She currently serves as adjunct professor at Middlebury College where she prepares graduate students for their internships at international nonprofits and to use online networking tools to advance their careers. She is on the board of NTEN and Leadership Learning Community. 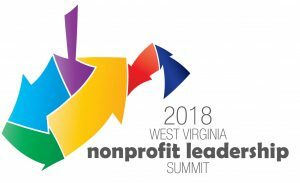 The 4th Annual 2018 WV Nonprofit Leadership Summit, in partnership with Volunteer WV, will take place September 25 – 26 at the Canaan Valley Resort in Davis, WV. Registration will be open soon, and applications are being taken now for Summit presenters, sponsors, and exhibitors. Over 160 nonprofit professionals from across the Mountain State attended last year’s event. The Summit’s goal is to bring nonprofit leaders, staff, directors, and volunteers together to learn, inspire, and be inspired.This is the premiere state venue to advance nonprofit knowledge and skills and build connections that improve practice and drive change. Check back soon for more information on 2018’s Summit, our biggest and best conference yet!